Do you live outside the broadcast region of your favorite NFL team and don’t want to spring for Direct TV and a NFL Sunday Ticket package? Perhaps you just prefer the old school simplicity of listening the the radio feed over watching on TV. 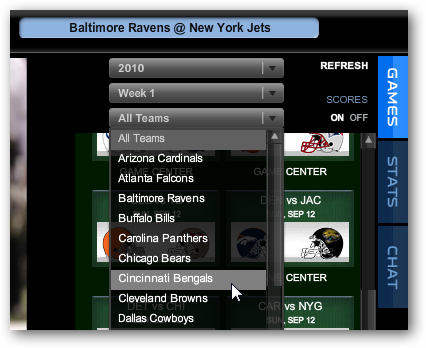 Either way, NFL.com gives you the option to listen to every NFL game live (or on demand) with Audio Pass. Once you log in with your username and password, (you’ll need to choose one when you sign up) just find a game to listen to and click to play. You have the option of listening to either team’s broadcast, and in some cases, like Monday Night Football games, you can listen to Westwood One or Univision (Spanish). 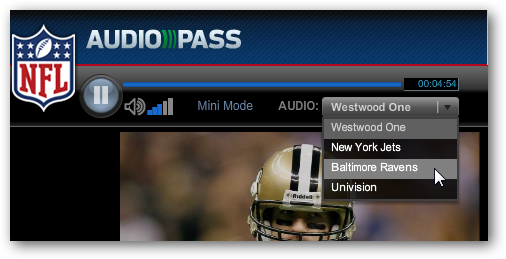 While Audio Pass should make for an ideal companion to watching TV broadcasts, I’ve found the audio broadcast from Audio Pass to be off by at least 5 seconds or so from the actual TV telecast, and thus it doesn’t really work for that purpose That is a real shame because this could be a great option for not only listening to your favorite teams broadcast, you could also use it in games when you don’t care for the TV announcers. There isn’t a whole lot to the web app itself. 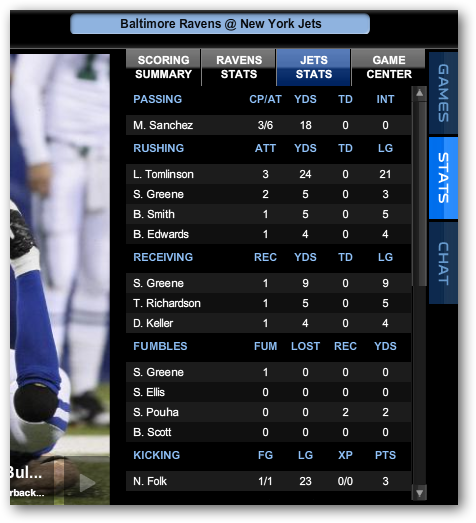 You can access lives stats for either team right from the Audio Pass screen. There is also a Chat option if you wish to interact with other fans listening to the game. 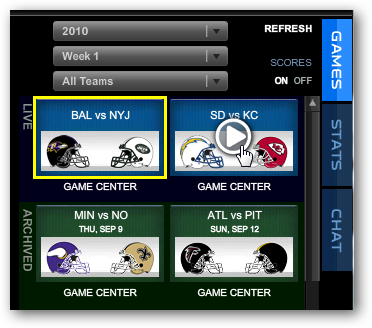 The Game Center option takes you to NFL.com’s Game Center page in a new browser window. Or by week of the season. 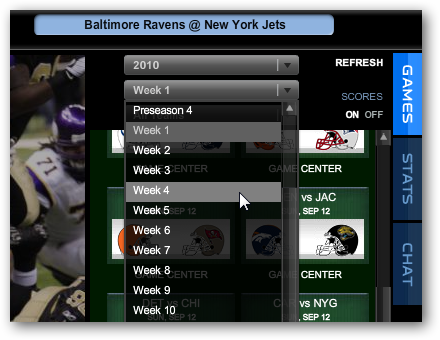 You can even access game from the 2009 season. 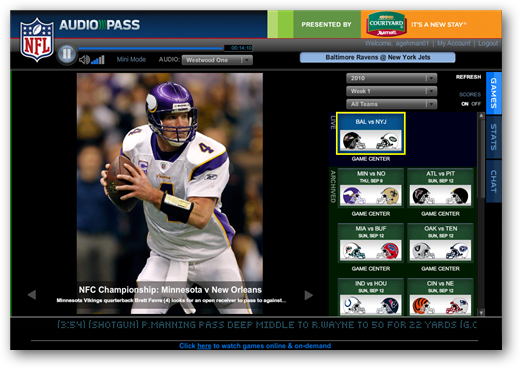 To get all the live NFL radio broadcasts online for yourself, check out Audio Pass from NFL.com.